WITH leather major Hidesign for over seven years now, British designer Fabian Lintott knows exactly what brand loyalists want from the bag. There is a hint of quirk, in the trim or the lining, but the leather and design are classic. In Pondicherry for a few weeks (he visits twice a year to meet with the core design team), Lintott is responsible for the mena��s division of Hidesign accessories and some selections for women. Just back from photographing the colourful a�?Pongala�� streets, he talks about premium leather and personal style. a�?a�?There are two main stories this season,a��a�� he begins, a�?a�?the old school preppy look, very 60s Mad Men and traditional retro. The second one is material consciousness.a�? The former sees a sober range in dull leather; the Corvette comes as briefcases and, a trend that is big now, coat bags. 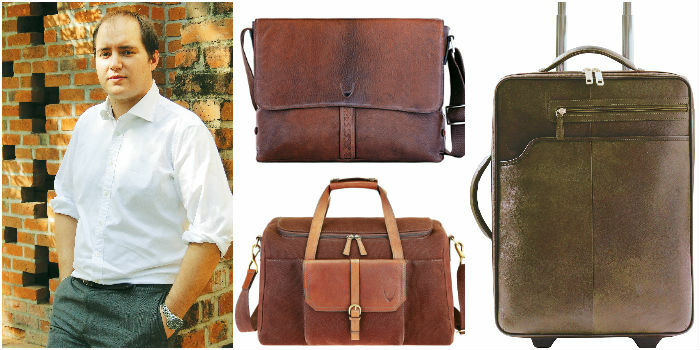 Jacob, another line, sees the classic despatch day bag, in brown and tan. Ita��s what he calls an a�?a�?accessible looka��a�� in camel leather. Meanwhile, the second story sees the handcrafted Camarao range in Siberian leather, a premium goat leather, with details like a button left over from last yeara��s military line. It is priced from Rs3,895 to Rs7,995.